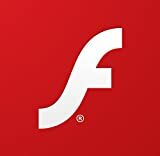 This page contains Flash Software and Resources. Flashiness.com - Customizable Flash Animations - Banners, Intros, Games. This is an ASP script that displays Flash polls. Available for MS SQL Server or Access. Displays results as a 3D Bar Graph and Pie Chart. This is an ASP script that displays multiple Flash polls. Available for MS SQL Server or Access. Displays results as a 3D Bar Graph and Pie Chart. This is an ASP script that runs an attractive survey using Flash. Available for MS SQL Server or Access. Displays results as a 3D Bar Graph and Pie Chart. This is Flash script to display price quotes to do work for customers. This is an ASP script that runs an attractive guestbook using Flash. This is a PHP script that runs an attractive guestbook using Flash. This is a free Flash application (that comes with source) that allows you to present information on your site as a page turning book. This is a Flash guestbook. Versions are available in ASP and PHP.